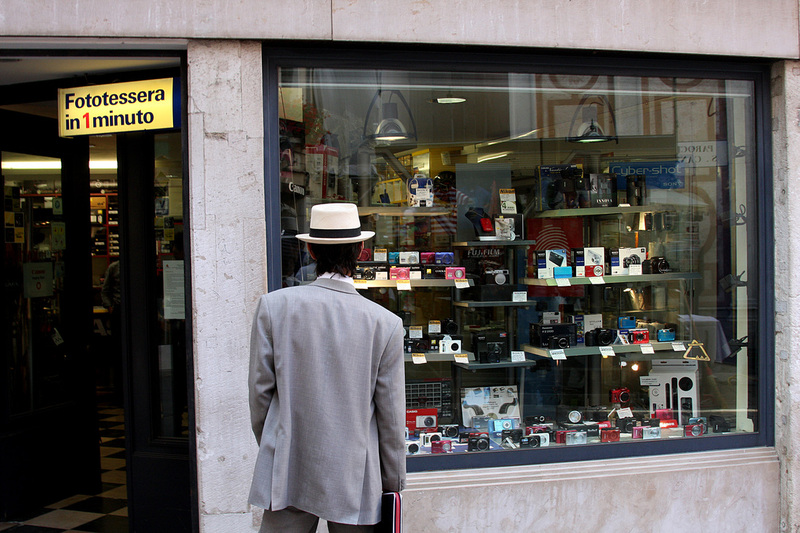 A man on his way to work stops to look in the window of a Venice camera store. 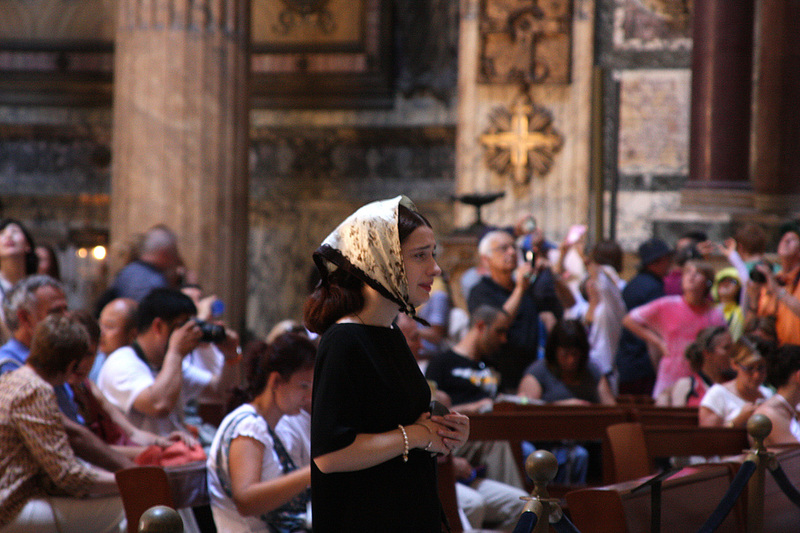 A young girl clutches her bible and prays at the Pantheon in Rome. 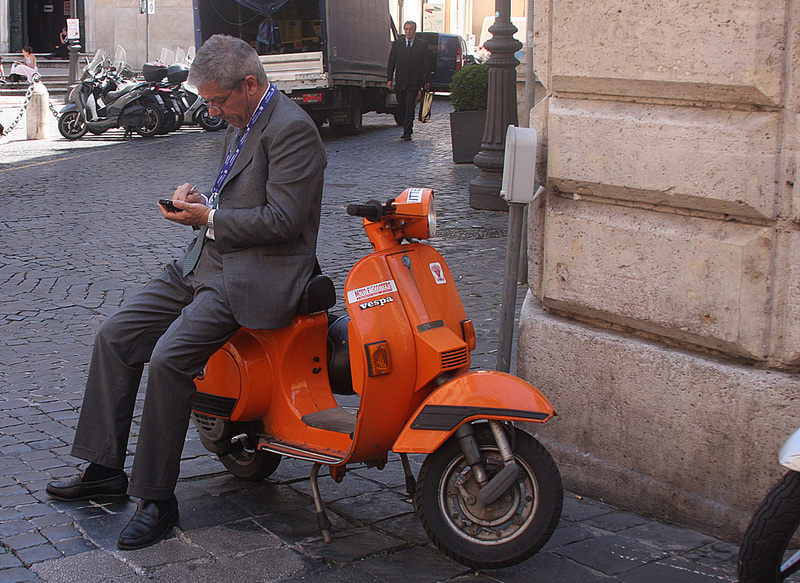 A Rome businessman checks his gadget from the seat of a Vespa. Apparently scooters are a means of both transportation and communication in Italy. 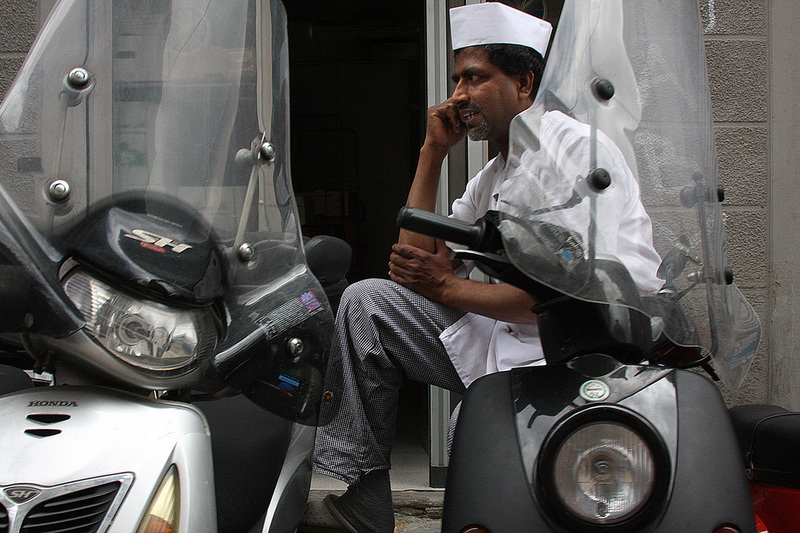 This man in Florence chats atop his scooter. 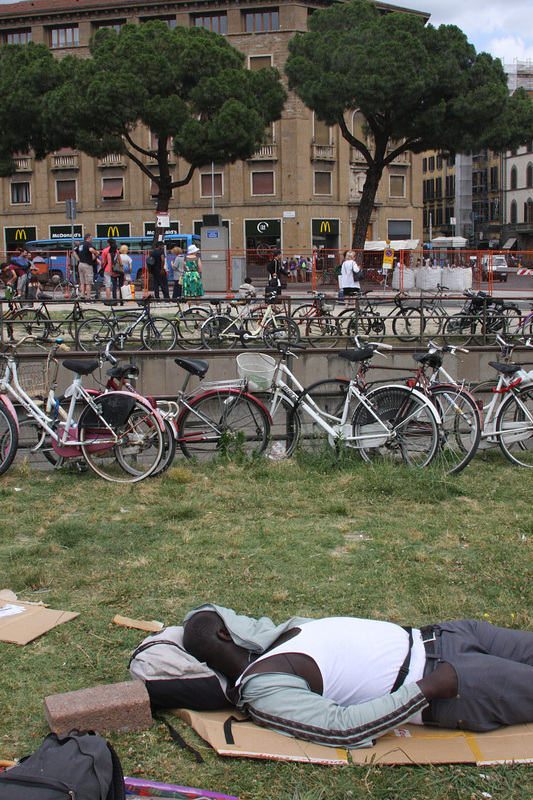 A man sleeps in the sun in front of the train station in Florence. 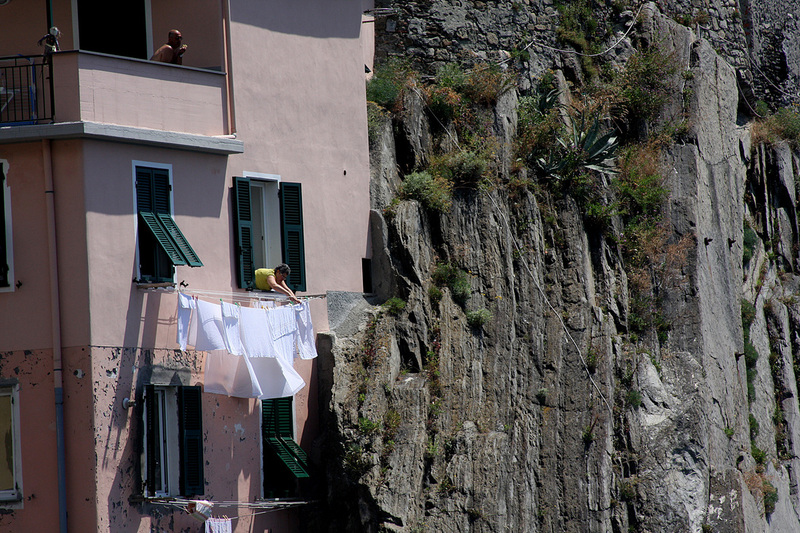 A woman hangs laundry out her window in Vernazza, Cinque Terre. 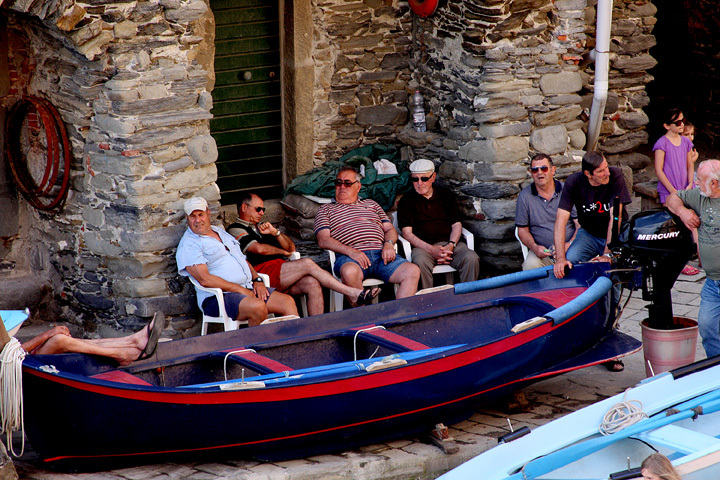 Italian men sit around the boat and talk one an evening in Vernazza, Cinque Terre. A wedding in Manarola, Cinque Terre. The bride had a quizzical look on her face, as if wondering who the hell I am. 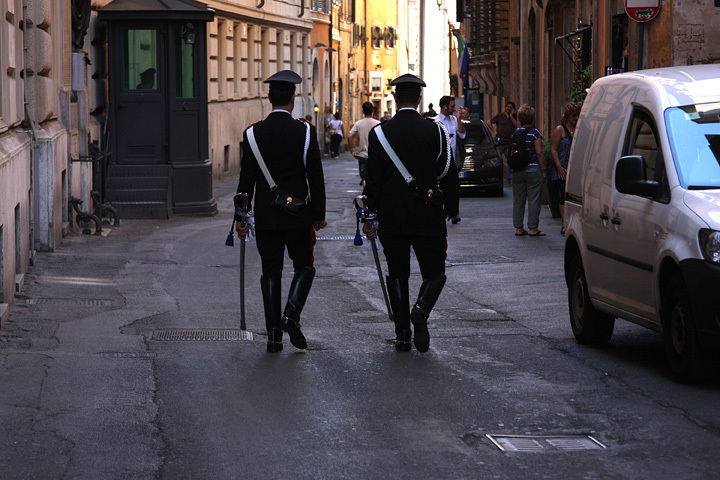 I found these guys marching through a street in Rome. 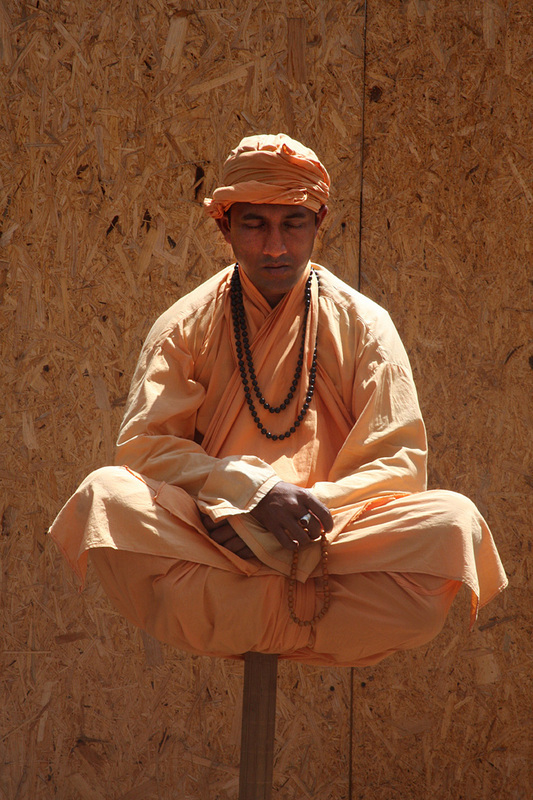 Just three of them. I'm not sure who they were or were they were going. 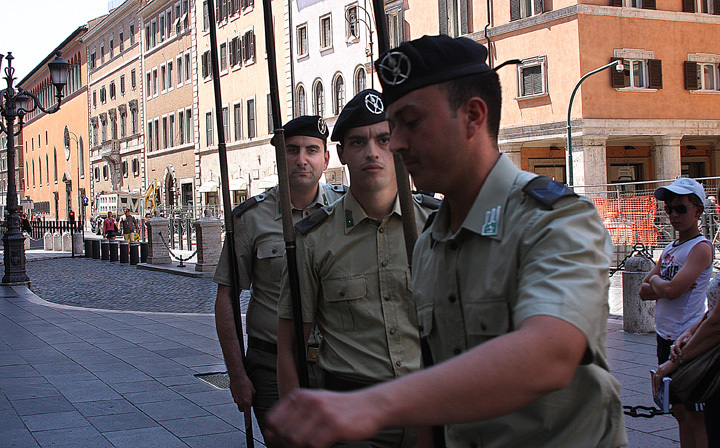 Perhaps they were chasing after these guys. 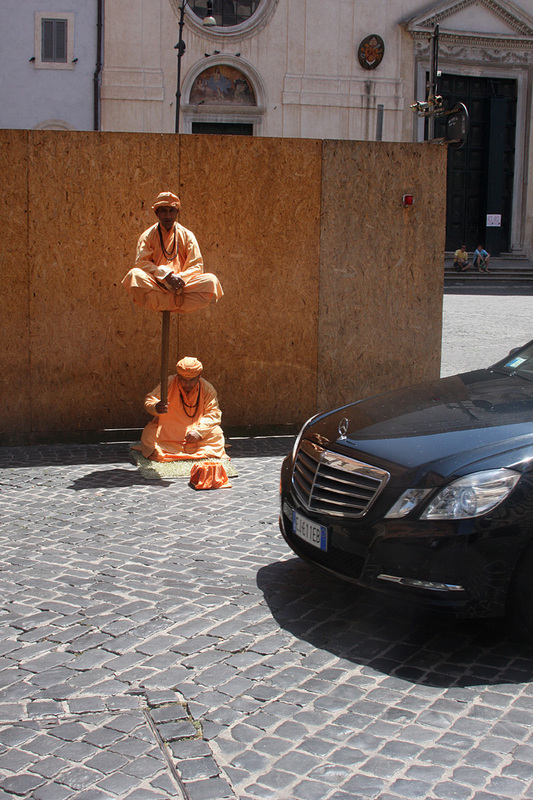 Street performers in Rome. I think the guy on the bottom has a fake arm, but that was best I could figure. 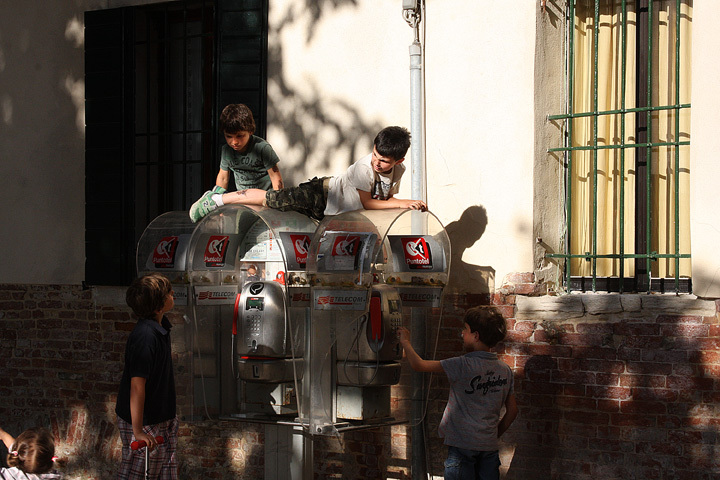 Local children play on phones in Venice. 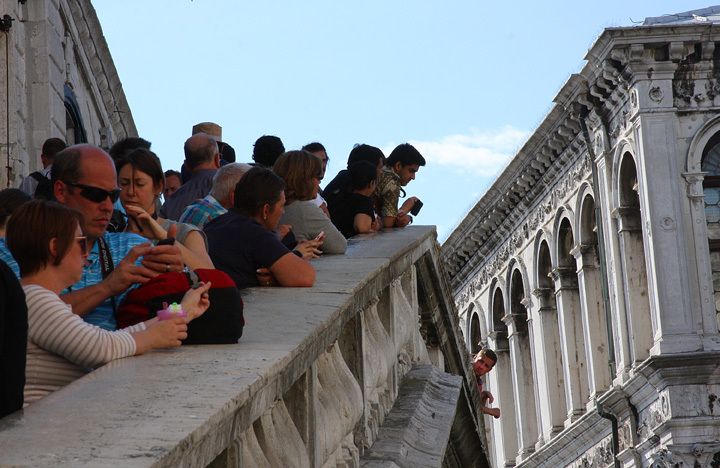 Tourists gawk over the Rialto bridge in Venice. 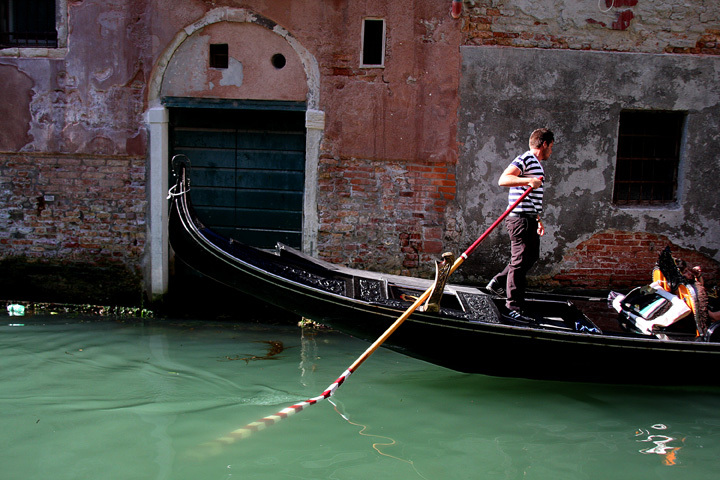 A gonldolier pushes off a wall in Venice. This is Victor. 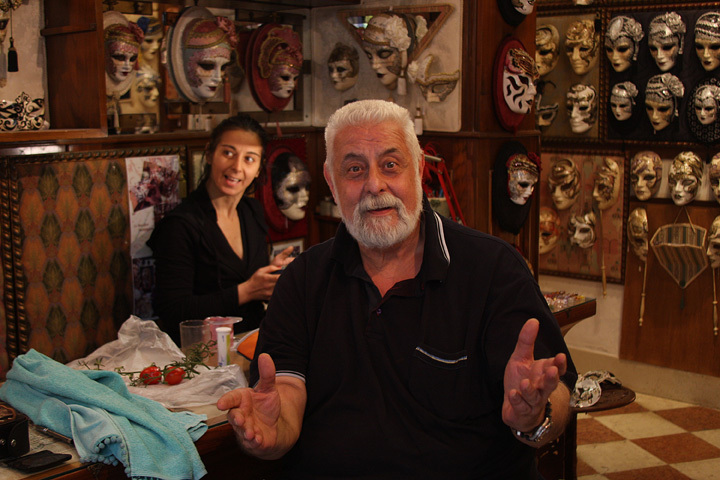 He ownes one of the best mask shops in Venice. Most mask shops won't let you take pictures, but Victor embraces pictures. 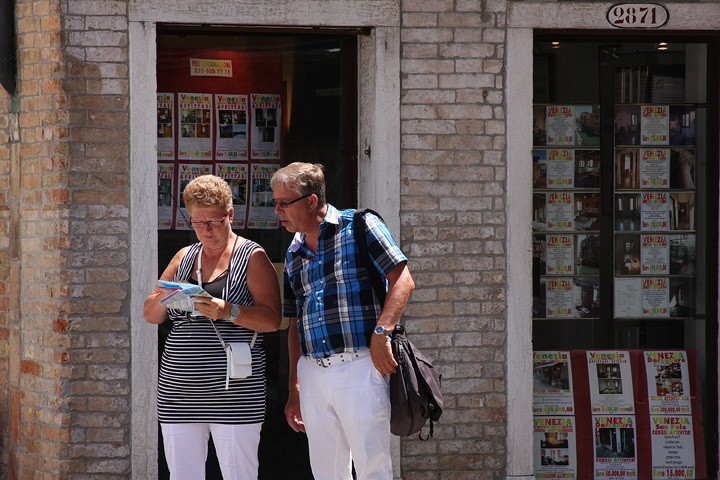 There's a picture in every direction in Venice. 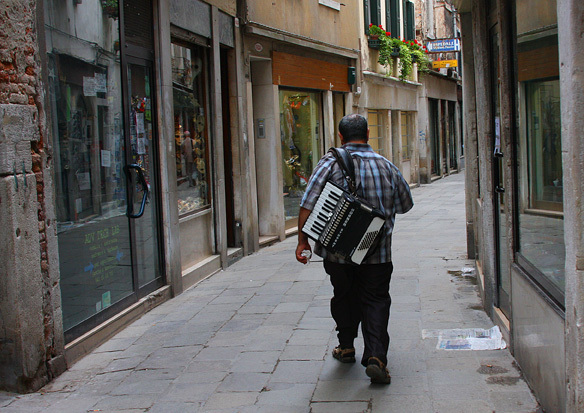 A panhandler meets Italian fashion. 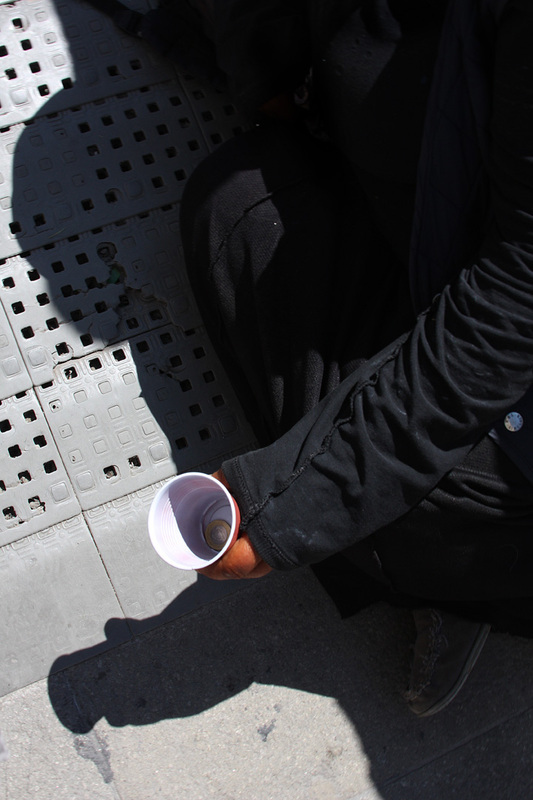 A single Euro in the cup of a panhandler in Venice. 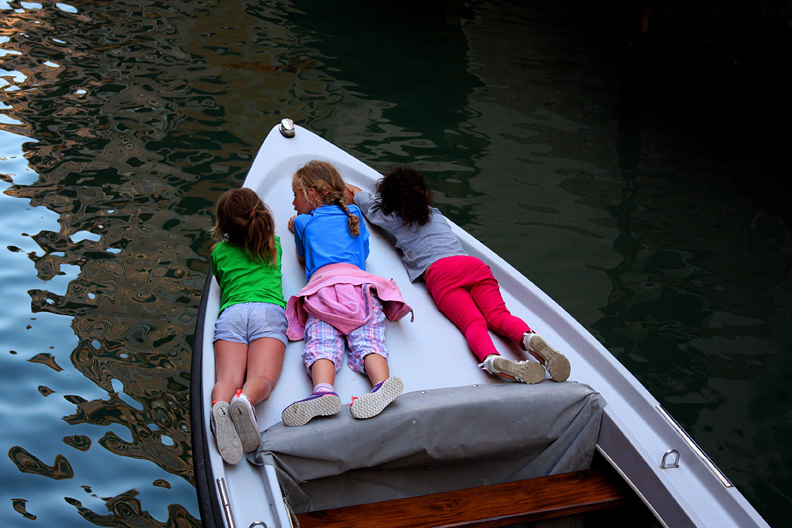 A colorful group of children ride on the bow of a boat motoring down a canal in Venice. 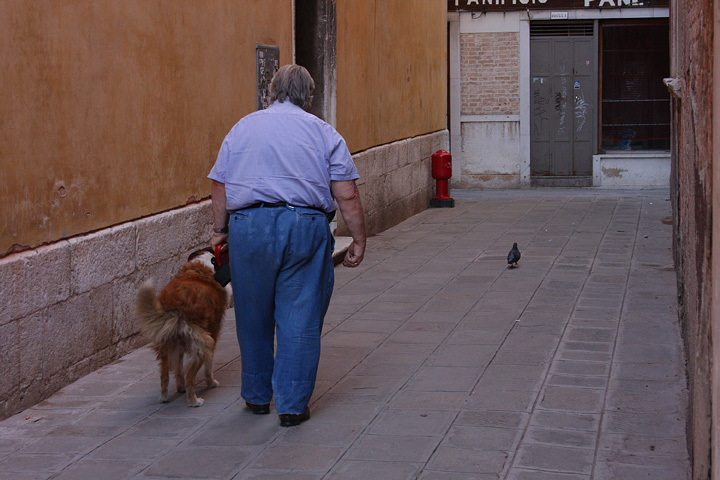 A local man walks his dog in Venice. 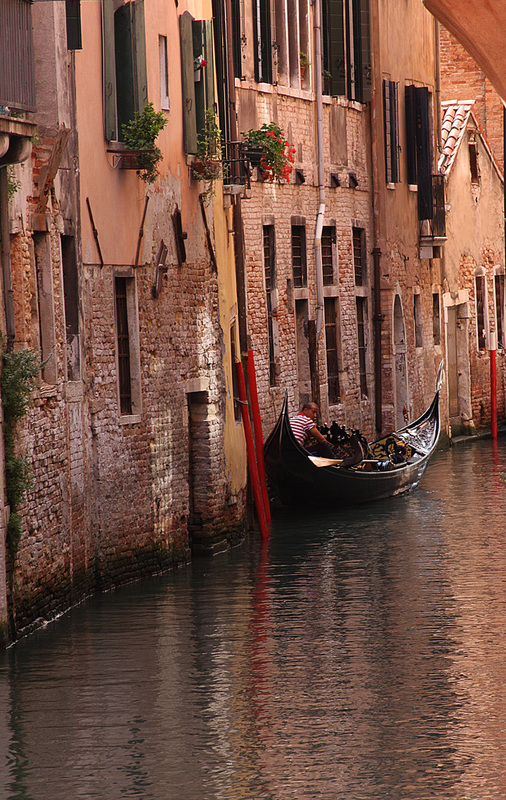 Everyone who doesn't live in Venice is perpetually lost. 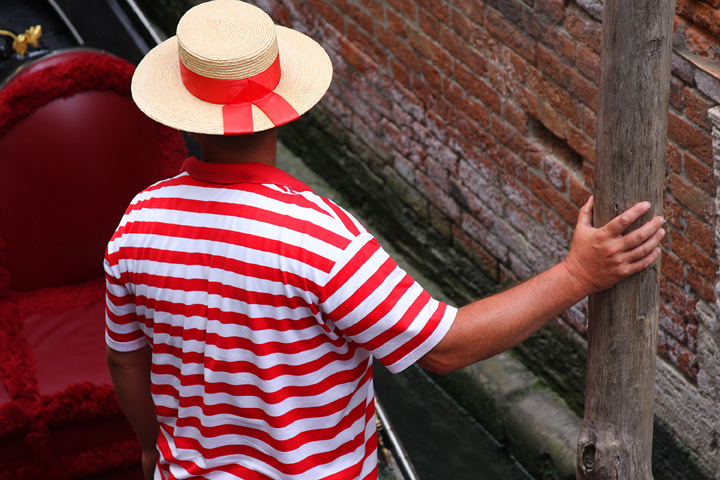 A gondolier rests after dropping of a group of tourists. 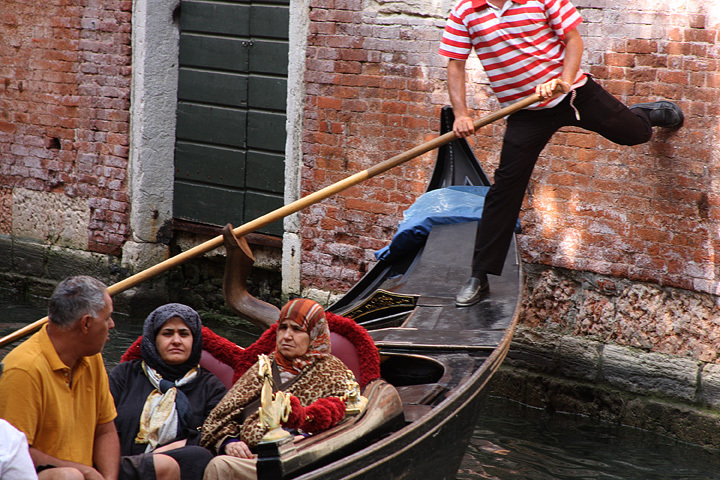 A couple poses for a photo while being serenaded on a gondola. 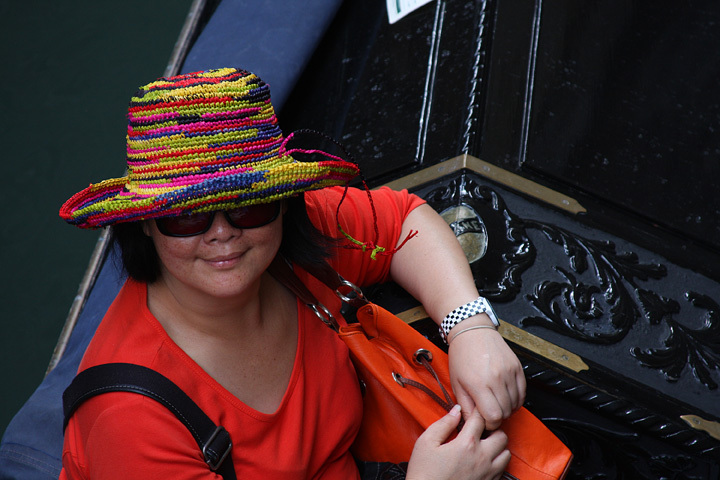 A smiling tourist enjoys a gondola. 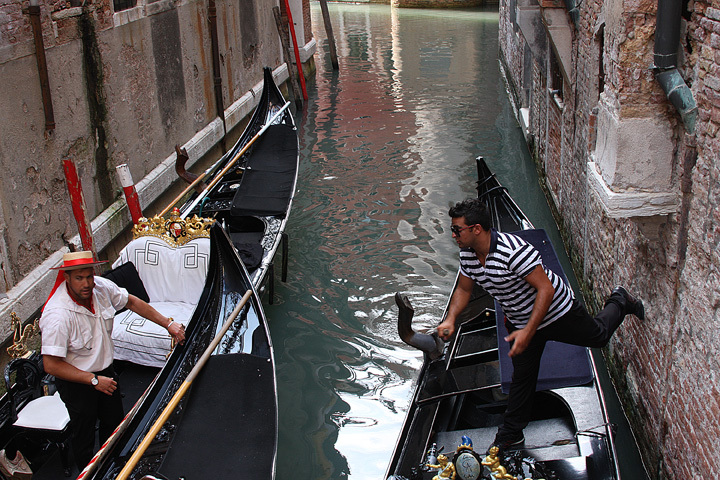 Every morning small motor boats deliver goods to the residents of Venice. 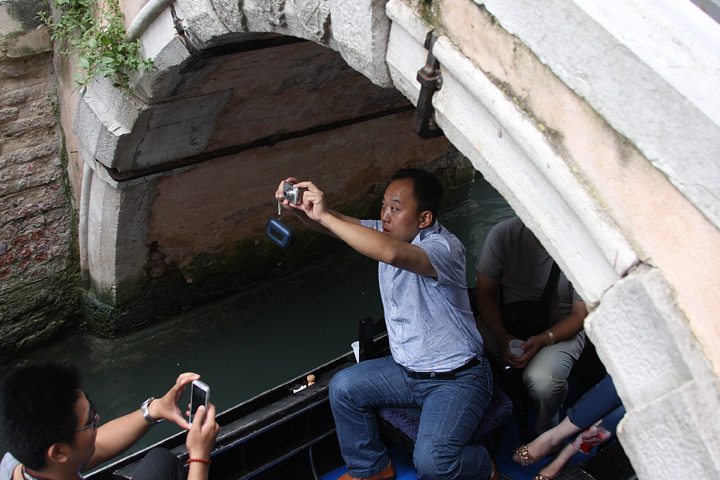 Everything from vegetables to toilet paper comes in on the boats. 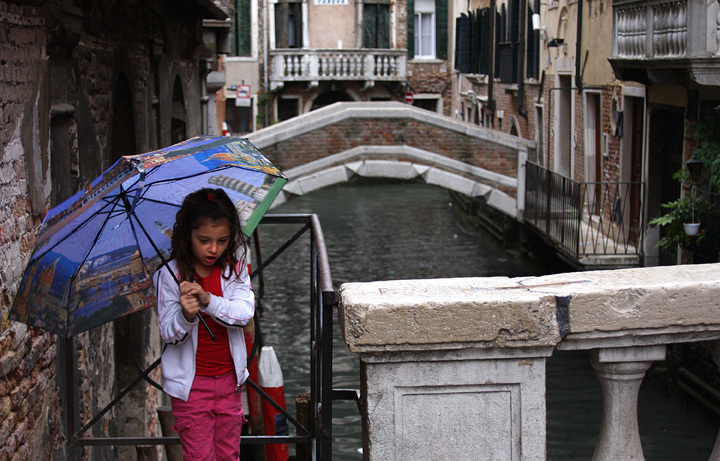 In late June, an Italian umbrella has two functions: deflecting rain and sun. 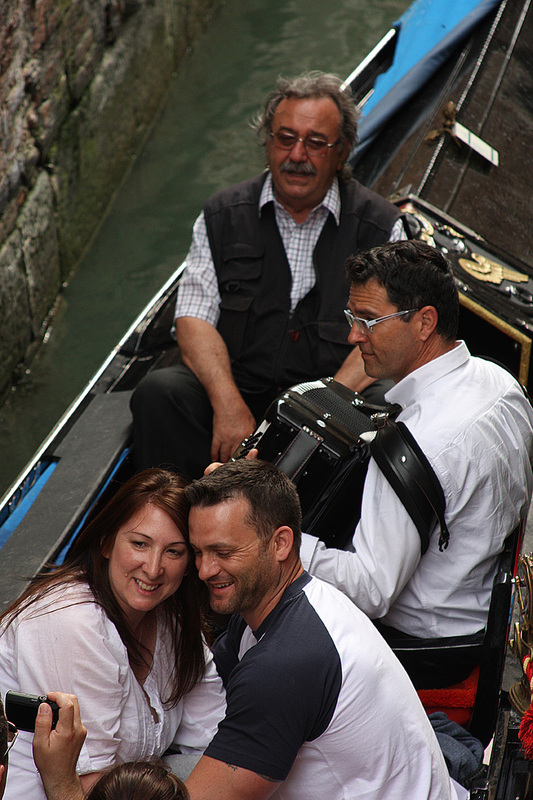 Before we arrived in Italy, my daughter asked of there were accordion players on every corner. At the time, I didn't think so. But there are!